It has been forever since I’ve pulled an all nighter…probably since the night before Jackie went to Sailing Camp at Dana Point in her Junior High years. * I am so tired. Hopefully it will be worth it. I’m old school and feel compelled to hand sew stocking and move the elf. Her excitement will be explosive. *for Jackie’s first Christmas I quilted her stocking. For weeks I poked my fingers and pulled threads through cherubim and french horn fabric.as a toddler she slept in it over Christmas Eve. I don’t expect I will outgrow the urge to make the holidays special for them. *my earliest Christmas memory is waking up in the middle of the night with my brothers and opening every gift under the tree. Every gift. Then we went to sleep but our sin was written in marker and candy across our faces and sticky fingers. I remember receiving the worst beating of my life for that. You probably don’t want to know that wasn’t an exaggeration. * I love Christmas but it will be just Darla and me this year. Dad’s has a lady friend is attending his dinner so we will stay far away from her. I’m afraid if I get to close to her I might tell her what a horrid person she is. As you can imagine, I’m not a fan of grown ups who are proud of being nasty to kids. 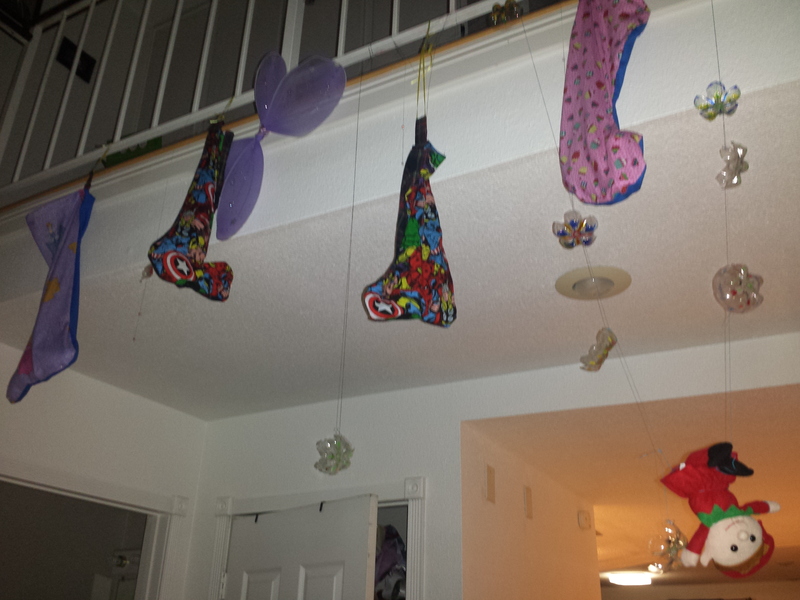 *so I stayed I put making stocking and party mix.